Very soon Sheldon is going to reveal a weird secret to Amy that he’s been hiding for a long time that nobody knows about. That sounds pretty promising, but let’s go ahead and shut down everyone’s initial hypothesis as to what this secret might be. According to EW, this secret has nothing to do with the engagement ring that viewers have been oh so willing to see Sheldon break out in a conversation with Amy where he just so happens to have fallen down on one knee. So no, the ring isn’t involved with this revelation at all. I’m not sure how it would be “weird” anyway, unless he confessed the ring is actually just a Green Lantern cereal toy. This past year has been a huge one for Sheldon and Amy, as they initially broke up over Sheldon not wanting to move forward quickly enough. This split lasted long enough for them to date others before emotionally reconnecting and then genitally connecting for the first time. And then Meemaw showed up and let the diamond cat out of the bag. But it’s not like all of Sheldon’s skeletons (skeldons?) and private moments have been showcased over the years. So what could this secret be that no one knows? I happen to have a selection of guesses that you can read below. 1. 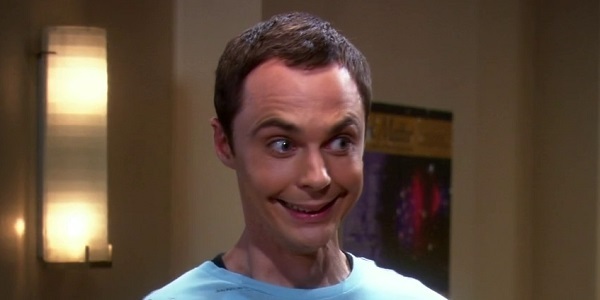 Sheldon’s real middle name is Leebazinga. 2. He actually slept with around 30 women in the time he and Amy broke up. 3. He doesn’t know anything about math or science and has just been faking it this whole time. 4. His real father was Leonard Nimoy. Okay, so it’s highly likely that none of my guesses will end up being correct, although I’m holding out hope for that last one. There’s no telling when we’ll learn Sheldon’s secret, and we’re certainly hoping that he doesn’t blurt it out in the heat of a sexual moment, since he told Amy their bedroom shenanigans were just to happen on her birthday, which would mean waiting until future seasons. And it’s no secret that we just don’t have the patience for that. The Big Bang Theory airs Thursday nights on CBS. Let us know in the comments what you guys think it is.